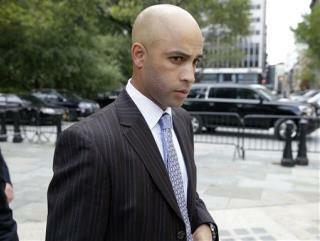 (Newser) – Former tennis pro James Blake, who was thrown to the ground by a plainclothes policeman outside a hotel and mistakenly arrested, emerged from a meeting with New York City's mayor and police commissioner yesterday saying they were on the same page about the need for lasting change. "We're not looking for a quick lawsuit," Blake said after a meeting he described as very productive. "We're not looking for anything that's going to be a quick and easy solution. We're looking for a lasting, positive impact on the city and on the police force." Blake said the big theme of the meeting with Democratic Mayor Bill de Blasio and NYPD Commissioner William Bratton was accountability. I think that James Blake is sincere in wanting to bring about positive change, and I think that Mayor Blasio and Commissioner Bratton are also sincere. But... it is almost impossible to image that anything will actually change. I wonder if DeBlasio was late to this meeting, like he is to all the other ones. A. that wasn't an arrest, it was an assault. If any person just ran up and did that to another, it would be assault. And meeting the mayor wont do much. his stock is dropping so far, the NYS Dem party is already looking to replace him. Or at least Cuomo is pushing for it.